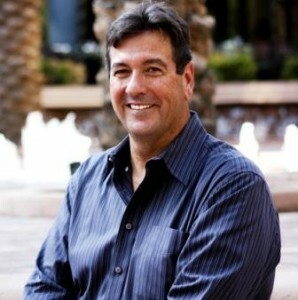 Recently, I had the opportunity to contribute to Sydney Avey’s blog series, Writing California. The Golden State has much to offer as a setting in contemporary fiction, yet most of California is overlooked. Los Angeles, San Francisco and the palm tree encrusted costal beaches serve as the backdrop to hundreds of books each and every year. Familiar, easily recognizable landmarks like the Golden Gate Bridge and the Hollywood sign are plentiful, but Sydney’s Writing California shows there is more to the state than those iconic images. Sydney allowed me to share an excerpt from my pending release, Hollow Man, a crime thriller, involving the black market trade in human organ tissue. The book is set in the Sacramento River Delta. I’m grateful to Sydney for allowing me to share it with you. The story involves a police detective trailing an organ harvesting serial killer who faces a choice–capture the killer, or make a deal for a kidney the detective’s son needs to stay alive. 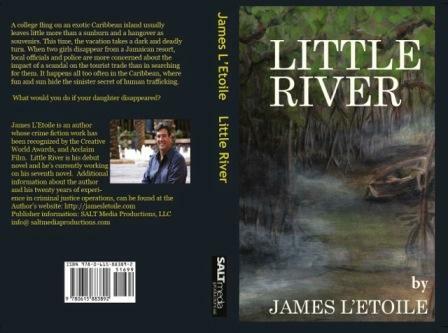 (He set his first human trafficking novel, Little River, in Jamaica because the setting needed to be somewhere remote, exotic and foreign to the protagonists.) 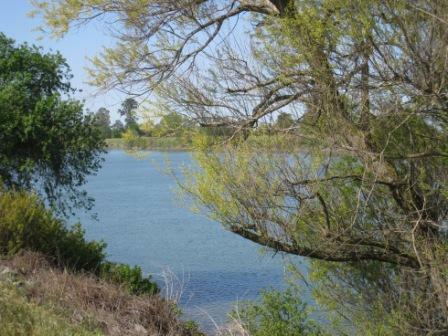 Hollow Man uses the extensive river networks, aqueducts and reservoirs in the Sacramento Delta as a backdrop. Water, rivers in particular, tend to be used as a metaphor for life and renewal. I wanted to turn that tradition on its ear. In Hollow Man nothing good happens near water. Deaths occur on the river, bodies are found, and the river washes away the killer’s trail. L’Etoile believes that each place has a feeling and culture that makes it unique. It is helpful to walk where the characters walk, see what they would see and soak up the smells and nuance of the setting. The sun glints off of a building at a certain time, casting a specific glow. Google Maps can’t show you that. I talk to people who might interact with my fictional characters. That helps me get a feeling for how people behave in that setting. I think readers will allow a fictional character to do almost anything, sprout wings, cast spells or fend off zombie attacks, but portray a setting incorrectly, refer to the blue steel of the Golden Gate Bridge, or Giant Sequoia Redwood trees in the Central Valley, and the reader gets jarred back into reality and is less likely to get back into the story. Enjoy this excerpt from Hollow Man, where Detectives John Penley and Paula Newberry respond to a crime scene at the Delta King Riverboat in Sacramento. A wide wooden gangway angled down from the pier to the Delta King riverboat. River levels rose and fell with the droughts and snowmelt and the gangway sat on hinges that adjusted with the changes in water level. The river ran low today and the red and white paddle wheeler sat well below the pier with only its pilothouse and twin stacks visible from the street. Clusters of people assembled at the edge of the pier, near the gangway entrance, gazing toward the stern of the ship. One man pointed down at something in the water. Television news crews responded to his cue and swiveled their cameras in hopes of tagging a gruesome find in time for a broadcast at lunchtime. John and Paula located a uniformed officer who kept onlookers and media types off the gangway and away from the ship. The officer tucked a clipboard under his arm and pulled a short section of yellow crime scene tape back like a velvet rope at an exclusive nightclub. The detectives cleared the gangway and the officer added their names to a list of persons who entered the scene. The Coroner’s technicians had erected a tall white tarp that screened the stern of the boat and the dock from the gawking public above. In spite of the restricted view, the news cameras rolled and hoped for a tarp malfunction that would give them a tabloid front-page money shot. As John and Paula approached the ship’s deck, a pair of technicians clad in white disposable jumpsuits, hefted a bundle wrapped in a blue plastic tarp to the dock surface. A river rescue dive team untangled the package from the stern paddlewheel and lifted it to the techs on the dock. The package settled onto the wood deck planking and river water oozed from the folds in the plastic. The wrapping clung to the contents and molded into a blue sculpture of a semi-human form. Behind the Coroner’s technicians, Lieutenant Barnes motioned for John and Paula. “When did this get called in?” John said when he reached the Lieutenant. Paula stopped at the plastic wrapped remains and began jotting notes in her notebook. “About twenty minutes ago,” Barnes said. “Damn, didn’t take long for the vultures to get wind of it,” John said and tipped a jaw toward the assembled news crews. “So who found the body?” John said. If you happen to be wandering around the El Dorado Hills, CA area on Friday March 7, 2014, stop by the Face In A Book Bookstore between 6 and 8 in the evening. Fantasy Author Brenda Pandos and I will be meeting with readers and talking about our books. Come on by if you have a chance. If you can’t make it, click on the free Authorgraph link and you can pretend you were there. Oh wow James, I want this book! I lived in the San Fernando Valley for 40 years so I know California very well including the Bay Area. I went to Berkeley. My uncle lives in El Dorado Hills. I enjoy reading books when I know the terrain, it makes my imagination soar and your writing is brilliant. Will purchase and read! Thank you. Cynthia, thanks so much! When I read something with that little extra detail of the surroundings, I can slip myself into the story. It may be a bit of extra work to gather that view, or capture the aroma of the place, but it’s worth it in the end. Thanks again for your very kind words…look for Hollow Man in a few months. I will do that James, can’t wait!